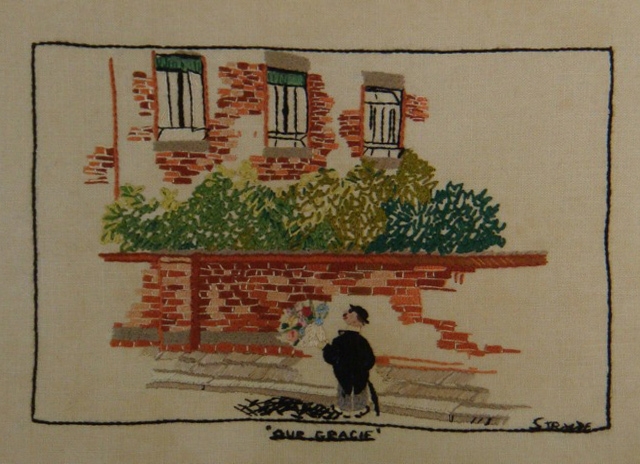 An embroidery created by a fan which hung in Gracie’s home until her death. 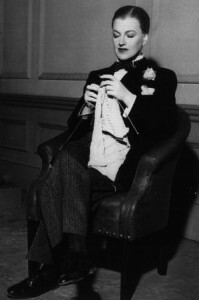 Doing her knitting in a break in filming ‘Shipyard Sally’ whilst seriously ill.
Gracie pressed on through filming, catching herself on props and scenery when she felt like fainting. Monty noticed something was wrong with Gracie and followed her when she walked off set one afternoon, and found she had fainted in a corridor of the film studios. Instantly, Monty realised something was seriously wrong with Gracie and told her that for her, the filming was over and that the script would be re-written and the film finished from the footage already shot. Shipped straight home to Peacehaven, Monty arranged for a newly trained New Zealand Doctor Mr. Searle to examine Gracie, and over the next couple of days Gracie was visited by a constant stream of Doctors, Physicians and Surgeons -including Lord Hoarder and Lord Dawson of Penn, the King’s personal Doctors. When it was agreed that Gracie needed an initial exploratory operation, Gracie chose Mr Searle. 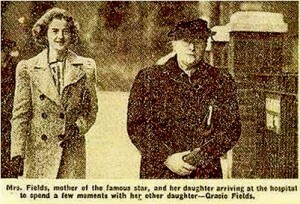 During her illness, Gracie was meant to broadcast a ‘Good Causes’ radio appeal for the Manchester Infirmary, but Tommy Fields agreed to step into her place as she was too ill to do it. 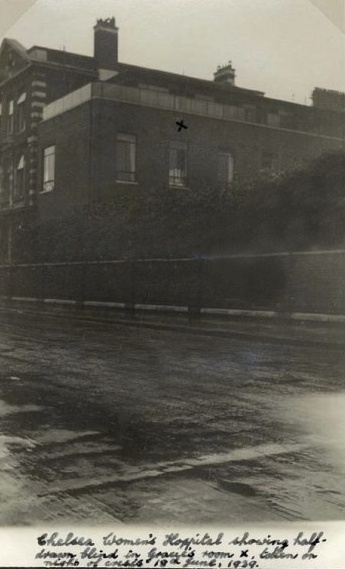 To everyone’s surprise, Gracie came downstairs from her bed and ordered her father and Mary Davey to get into the car with her and drive her to London as she was determined to do the broadcast herself. Arriving at BBC’s Broadcasting House with moments to spare, Tommy and the BBC technicians were shocked to see the fragile Gracie escorted through the studio doors to broadcast her appeal. 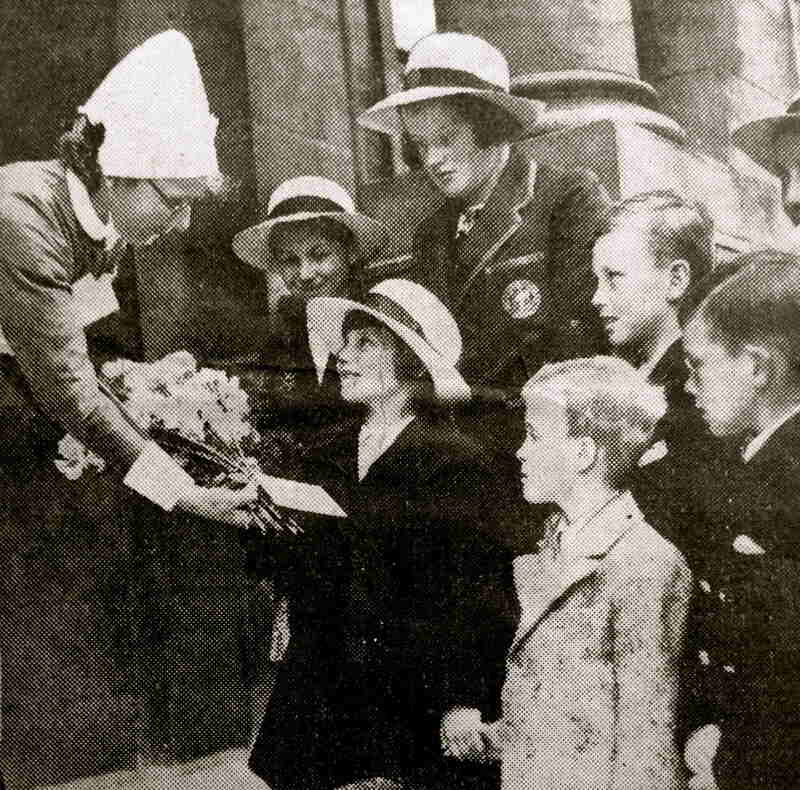 The next day, Gracie was put into a Nursing Hospital, despite her wishes to go onto a public ward. 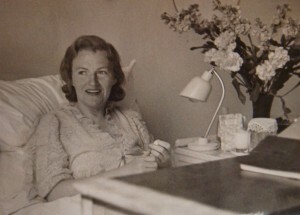 On June 4th, the day before her preliminary operation ‘Auntie Margaret‘ was to be married at St Lawrence’s church in Telescombe, so because Gracie couldn’t attend, the whole family went to her hospital room with balloons and champagne and threw a pre-Wedding party before the 2pm service. A weak Gracie sang ‘Here comes the Bride‘ to Margaret. After the successful preliminary operation, Gracie was moved to the Royal Chelsea Women’s Hospital. It has been confirmed in later years that Gracie had Cancer of the Cervix and required the removal of the Cancerous cells and a complete hysterectomy to prevent the spread of the illness. Gracie was given only a 50% chance of survival IF the operation was a success. 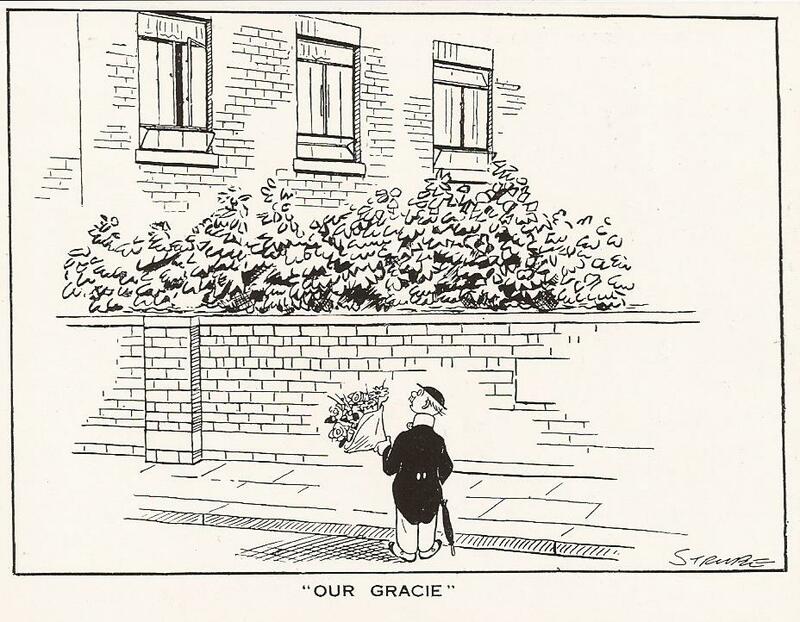 On Tuesday June 13th 1939 Gracie was operated on and remained in a coma for three days. 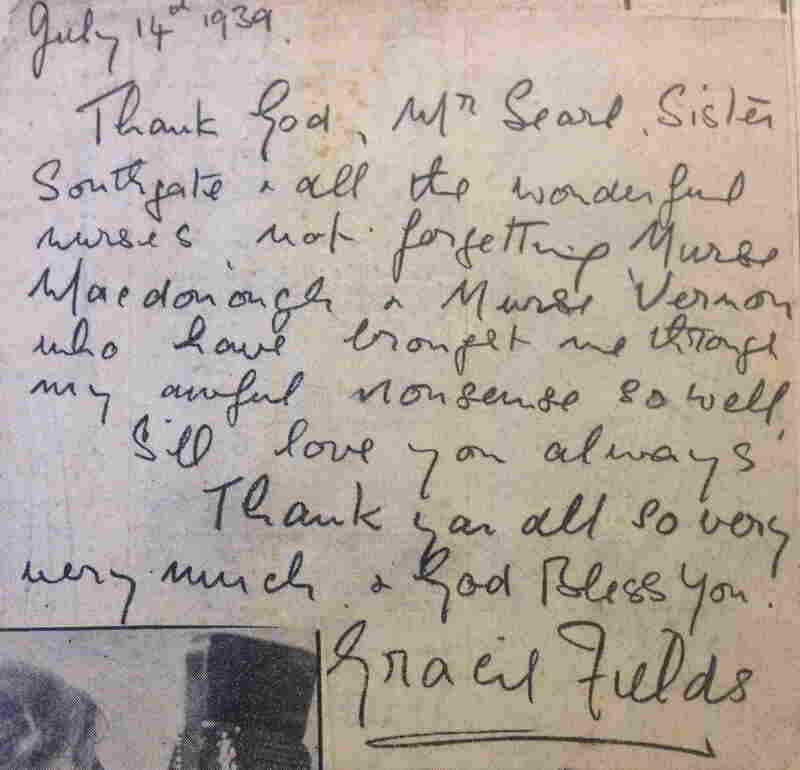 When Gracie first regained conciousness, Mary and Monty were at her bedside in a room filed with roses. Weakly, Gracie asked for a bowl of custard “just how I like it“, and Mary ran out of the room crying as she knew that she was going to be fine. Over the next few days, Monty brought a duck-press from the Dorchester Hotel and he and Mary pressed raw steak and mixed the blood with breadcrumbs for Gracie to drink -donating the prime cuts of sirloin to the Nurses on the ward. Queen Mary and Clement Atlee both sent flowers to Gracie, and even Archie Pitt sent a tribute to her. The public sent in a reported 250,000 messages of goodwill to Gracie, so Bert Aza had to take on extra staff just to sort through the post which was being sent to his office daily. 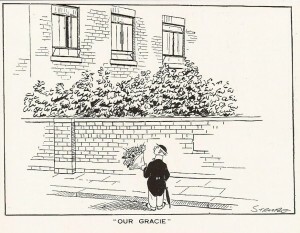 On Saturday June 15th Sidney Conrad Strube drew his now famous ‘Little Man in a bowler hat’ outside Gracie’s hospital window, representing the public’s outpouring of emotion. Arriving home at the Haven with Sister Southgate and Dorothy Whiteside (Tommy’s wife). On July 14th a large crowd gathered outside the hospital to see Gracie leave supported by her mother and sister Edith (though Gracie had hoped to leave the hospital unseen). 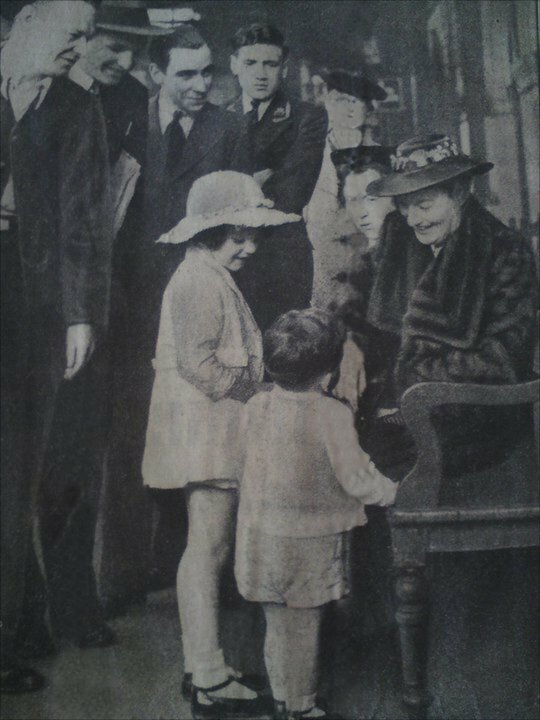 On the hospital steps Leslie Mitchell the BBC reporter came to her assistance and spoke for the nation when he told her how “Delighted we all are to see you back”, though the pained look on Gracie’s face says she would rather not be kept standing there chatting. 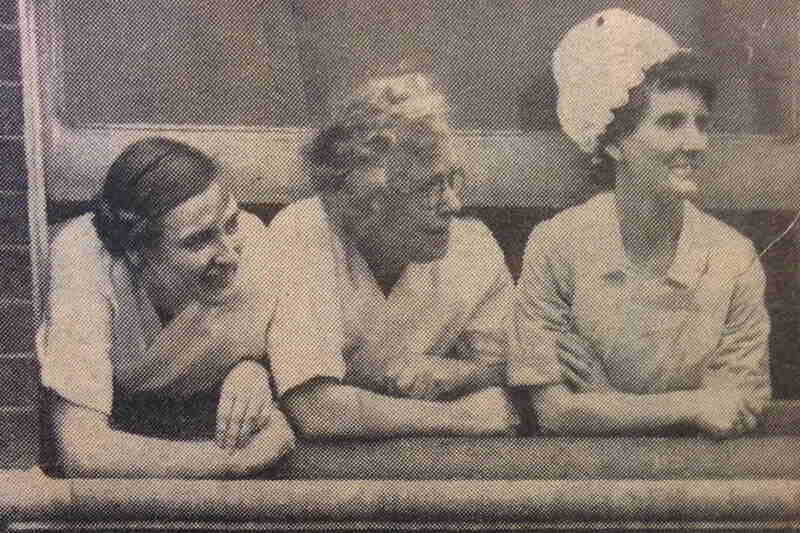 Then Sister Southgate and Nurse McDonagh helped Gracie into the waiting car – driven by Monty. 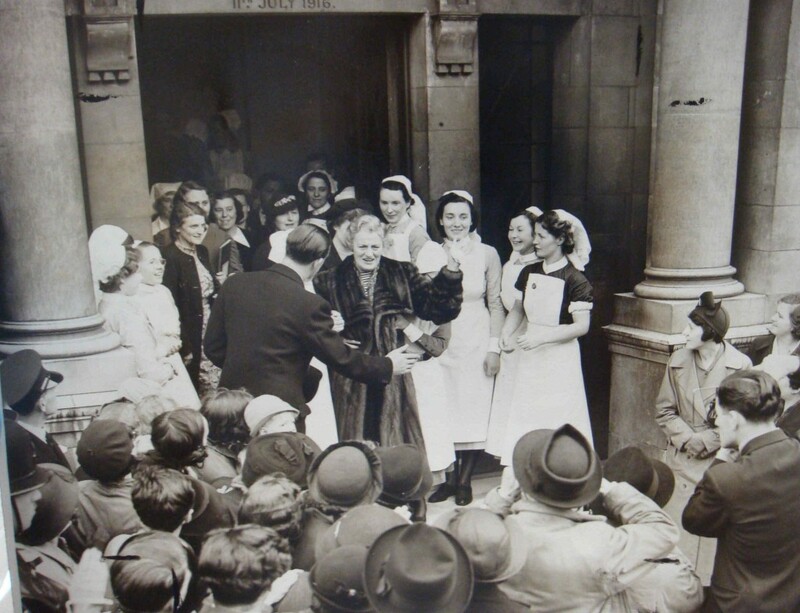 Fabulous photo’s of the nurses watching as Gracie leaves hospital, such characters. Exactly a week after leaving hospital, Gracie made her first public appearance as she attended court for the divorce hearing of her marriage to Archie. 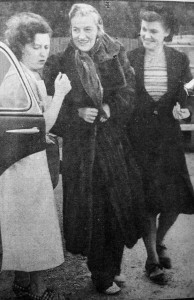 Accompanied by Betty and Nurse McDonagh, Gracie was told by the Judge she could remain seated in the witness box and was granted a decree nisi with costs going to Archie. Her decree absolute was granted the following year. 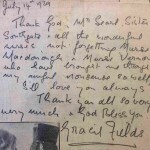 On Sunday July 30th, Gracie agreed to take part in a radio broadcast thanking the nation for their support. 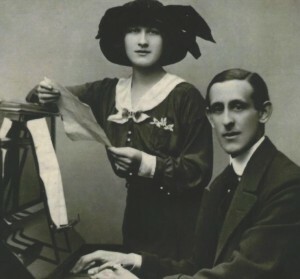 Initially planned to take part in her bedroom at Peacehaven, Gracie said she was feeling well enough to make the journey to London and broadcast from the BBC. After the emotional speech of thanks Gracie performed the Paul Rubens song ‘I Love the Moon’. These were both released on a 78 record. This is Phyllis Dare with her fiancee Paul A Rubens. He was ten years older than Phyllis and in 1914 he wrote ‘I Love the Moon’ for her, shortly after that he succumbed to consumption and died. Phyllis, heartbroken, never married and died aged 85 in 1975. Such a sad little history to the song . Gracie’s 1975 version of the song from ‘The Golden Years’ LP. I wonder if Phyllis got to hear it?